The plumbers we employ are fully qualified and registered, and have many years’ experience of fixing plumbing problems both big and small. We have the proper training and correct tools to fix anything, from dripping taps to drain cleaning or burst pipes. You can be sure that Fast Response Plumbers will get to your home or business quickly, give an expert evaluation of the situation, and furnishyou with competent advice and a cost-effective solution to your problem. We have many satisfied customers who can verify that you can call on Fast Response Plumbers with confidence. Fast Response Plumbers are experts in boiler repairs and installation. Our experienced and gas safe registered technicians can fix gas leaks and faulty boilers, as well as install new central heating systems. We are knowledgeable about all types of boilers, includingcombi, open-vented, conventional and system boilers. When you call us about a boiler malfunction, we will send someone to deal with the problem promptly and efficiently, and supply everything to get your boiler operational as quickly as possible. We supply and install new boilers and also do replacement of all gas appliances. To ensure complete safety, we conduct gas safe inspections and provide gas safe covers. We know that a plumbing emergency at home can be quite traumatic, but a plumbing emergency at your business can be even worse, because it means downtime and loss of production. If you are forced to close down for an extended period, the financial losses can be huge. That is why you need a plumbing service that responds immediately when disaster strikes. Fast Response Plumbers are on duty 24 hours a day, seven days a week. 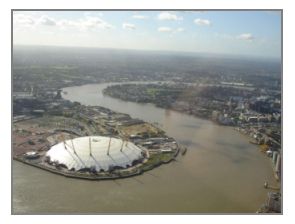 Our team in Greenwich will be on site within two hours of receiving a call, and will have your business up and running again in the shortest possible time. Greenwichhas played a key role in Britain’s maritime history for over 400 years, and has also held close links with both Tudor and Stuart sovereigns. Little wonder then that this historic area of South London was declared a World Heritage Site in 1997. Greenwich has given its name to Greenwich Mean Time and the Greenwich Meridian. Famous landmarks include the Old Royal Naval College, the Royal Observatory and the National Maritime Museum. There has been a market here since the 14th century, but the present market dates from 1700. Today Greenwich Market features different wares on different days of the week – on Thursdays and Fridays antiques and collectibles are the speciality. The residents of Greenwich can depend on Fast Response Plumbers for all their drainage, plumbing and central heating needs. We provide courteous and professional services, irrespective of whether your home is centuries old or brand-new.